Mediation works because it empowers you to tackle the most challenging interpersonal conflicts in safe, practical ways. It addresses your primary interests and needs without the risk or expense of court proceedings. Rather than accepting an imposed outcome from a third party, the parties craft their own soloution. Mediation brings people together to resolve their disputes in an encouraging, non-threatening atmosphere. A mediator acts as a guide on the path toward peace, helping those in conflict talk and listen to each other and then design creative solutions to their problems. Mediation has many advantages over going to court. As soon as thorny issues arise, consider calling a mediator. Getting professional help before disagreements worsen can help avoid costly legal fees — and, once money has been spent on lawyers, reaching an amicable agreement outside the courtroom can be very difficult. 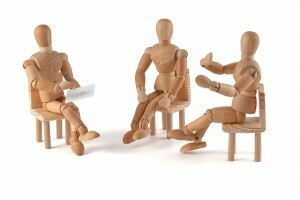 In what situations can mediation help? Communications in mediation are protected and confidential. Mediators cannot reveal protected communications outside of mediation. Mediators cannot testify in court on behalf of either party. Montana state law does provide an exception if there is a threat or statement about a plan to inflict bodily injury or commit a crime. What happens if the parties don’t agree? All parties in dispute must agree to mediate. If after mediation begins, one of the parties, or the mediator, decide not to continue the mediation for any reason, then the mediation will end. If the dispute is such that a court can resolve it, the parties can proceed through the litigation process.